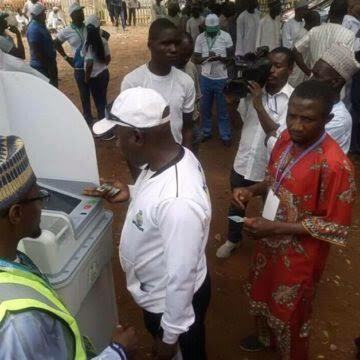 While the initiative of Kaduna State Governor, Nasiru El-Rufai to conduct last Saturday’s Local Government elections using the electronic voting machine devices has continued to attract accolades, the Peoples Democratic party has described the exercise as a sham, alleging manipulation of results of the polls. The opposition party which had earlier posted results from its situation room indicating that the party had swept the elections in mist of the Local Governments, including the Governor’s area, faulted the released results by the Kaduna State Independent Electoral Commission. According to it, the results have been doctored, with electoral officers swapping the result sheets in favour of the ruling All Progressives Congress, APC. The party leadership told journalists on Monday that they will reveal the massive fraud at the coalition centers, where results allegedly entered for the parties did not align with the actual results from the polling units. While threatening to go to court to challenge the results, the party maintained that they were not satisfied with the final results which gave only four Local Government Areas to the PDP against seventeen declared for the APC. Speaking on conditions of anonymity, a stalwart if the ruling APC who could not conceal his dislike for the state Governor, Nasiru El-Rufai said that the PDP was shortchanged during the coalition of the results. According to him, most APC members, including the Governor had given it to the PDP having noticed the massive protest votes, but were surprised that the final results show otherwise. He promised to appear as a witness for the PDP if the party decides to challenge the results in court, stressing that the mood in Kaduna state dies not give Governor El-Rufai the chance to win with a landslide, as happened. Tension had continued to mount in Kaduna following the official release of the results of last Saturday’s Local Government elections in Kaduna state, where the ruling APC was reported to be in clear lead.